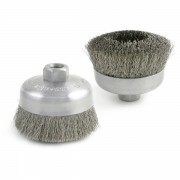 BNH Style Cup Brushes, available in 1 3/4" and 2 3/4" cup diameters. 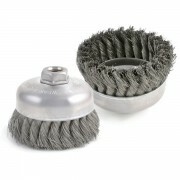 Versatile economy cup brush with a 1/4" shaft, available in carbon steel or stainless steel filament. 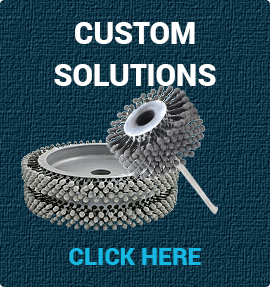 ..
BUC Style Cup Brush, available in diameters from 3" to 6", cup brushes are recommended for cleaning of large metal surfaces, removal of burrs, weld scale and rust, edge blending and surface prep. 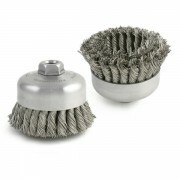 Crimped wire cup brushes are made in carbon or stainless steel and have an 5/8"-11 arbor hole.. 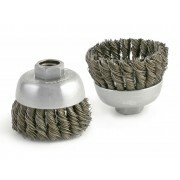 Knot type Cable Twist cup brushes, available 2 3/4" diameter only. .. 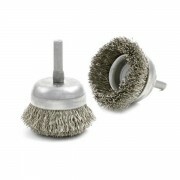 Knot Type Double Row Cup Brushes, available in 4" only. .. 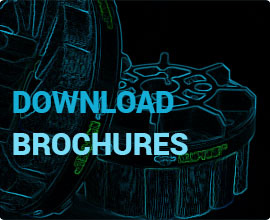 Knot Type, Single Row Cup Brushes, available in 2 3/4" - 6" diameter. ..